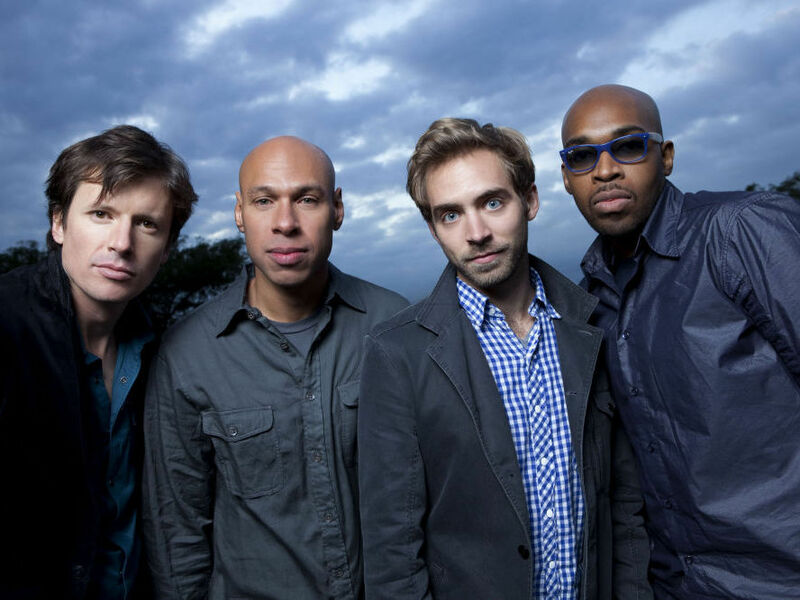 James Farm: Jazz Heavyweights Band Together James Farm isn't a person, but the name of a jazz supergroup comprising saxophonist Joshua Redman, pianist Aaron Parks, bassist Matt Penman and drummer Eric Harland. The band's self-titled debut is complex and truly collaborative. James Farm combines the talents of four in-demand jazz musicians: Matt Penman (from left), Joshua Redman, Aaron Parks, Eric Harland. In 2009, four busy jazz musicians — saxophonist Joshua Redman, pianist Aaron Parks, bassist Matt Penman and drummer Eric Harland — gathered on a rare off day to see what they might cook up together. Out of that came a band they call James Farm, and an album of the same name. New bands don't come along every day in jazz. The reasons are mostly practical: Gifted musicians like the members of James Farm are in demand and would have to turn down lots of lucrative work to commit full-time to one single enterprise. But listen to these unusual compositions, and to the lively exchanges that erupt inside of them. Even though these players can only make a partial commitment of time to James Farm, they're fully committed musically. Redman says that James Farm is truly a band. No one person was responsible for all the decisions on the album — everyone contributed compositions and ideas. The four built time into the recording schedule for discussion, as well as for trial and error. After the first few pieces were finished, Redman says it was clear to the four that they'd arrived at that rare thing: a band identity. You can hear it in the lyrical, singing melodies, as well as in the carefully textured accompaniments. Incredibly, James Farm only played about 20 gigs before recording this debut. According to Redman, there are only sketchy plans for the future; everybody's busy. Here's hoping that the four manage to connect often enough to continue evolving as a band. The vibrant conversation they've begun with this album can go at least a few steps further.